We have puppies, 3 girls and 1 boy born on 6 April 2019, please contact us to get more information. Raise healthy, happy toy fox terrier dogs. 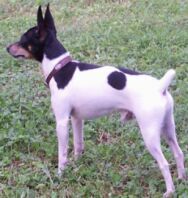 Help others find the perfect toy fox terrier for their needs. All dogs are lap raised in our home among other animals in a clean, loving environment.